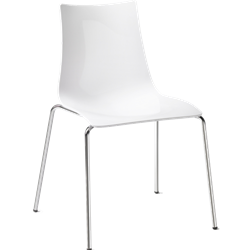 Made from Recyclable materials and available in Solid White and Anthracite. Polished Chrome options include 4 Leg, Trestle and Sled base. Matching 4 Leg Bar Stools also available.